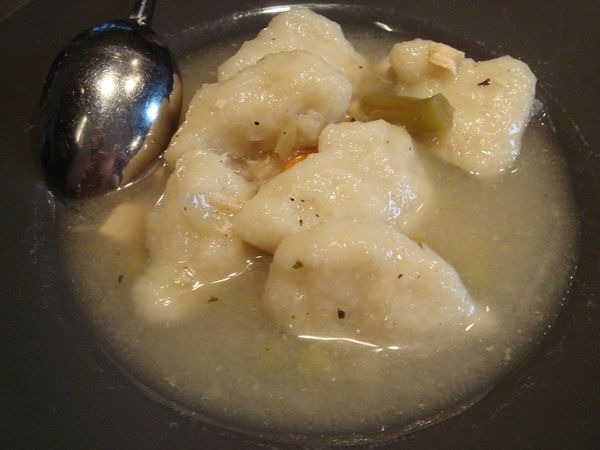 You can make a plump little dumpling and stretch the dough around the potato mixture without it oozing out. A Swede, two Americans, and our Polish teacher I’ve compared making pierogi to make tamales back in Arizona.... You can make a plump little dumpling and stretch the dough around the potato mixture without it oozing out. A Swede, two Americans, and our Polish teacher I’ve compared making pierogi to make tamales back in Arizona. 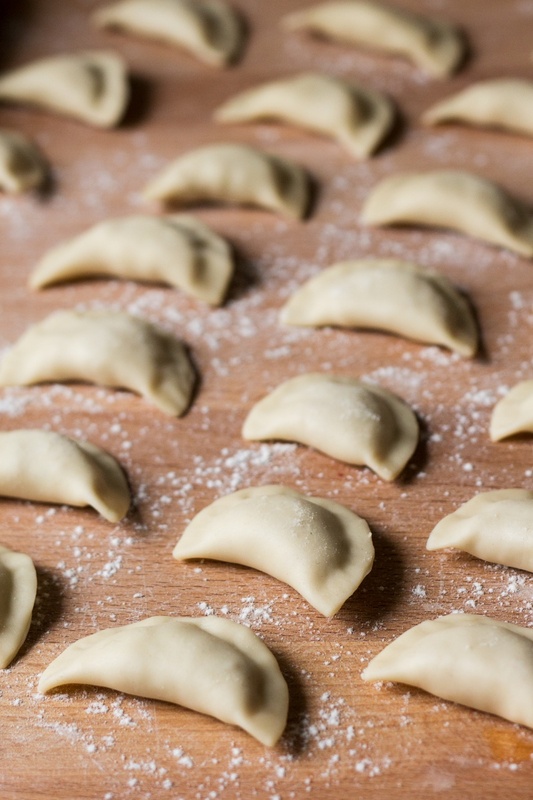 Make the Pierogi Dough: Pulse the flour and salt together in a food processor until combined, about 4 pulses. With the machine running, slowly add the whole egg, egg yolk, and oil through the feed tube until the mixture resembles wet sand, about 30 seconds. Roll out the dough onto a floured dough board. Use a 4-5" round circle cutter or empty coffee can to cut out dough circles. 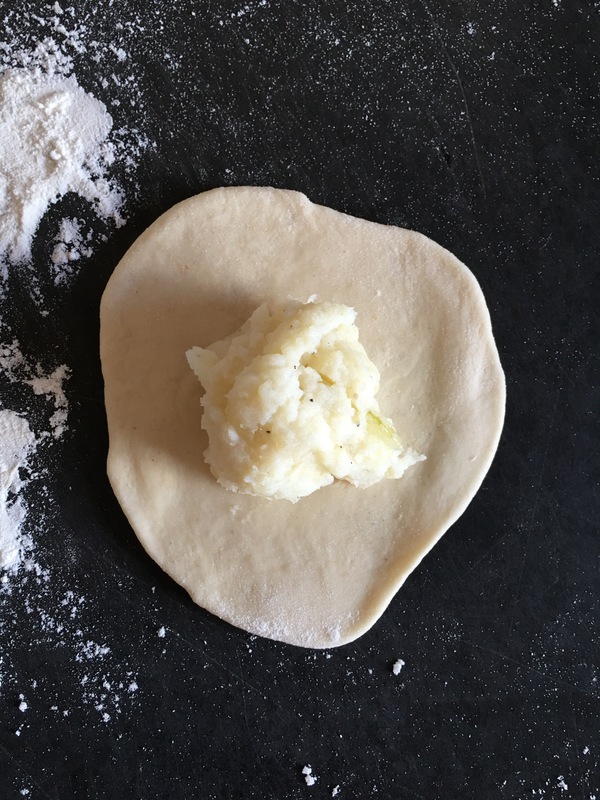 Place 2 tablespoons of potato filling in the center of each dough circle. Fold the circle in half and wet edges slightly with water to pinch them close.